Bad Mobile Coverage is the New Hotel Bug Bear. 69.5% of the UK’s general public expect a good mobile signal when visiting a hotel, nearly half, 48.85%, agreed that “UK hotels should do more to ensure good mobile coverage throughout their hotel and complex” and 35.5% would be put off booking at the same hotel if they experienced bad mobile coverage. Is bad mobile coverage losing you revenue? 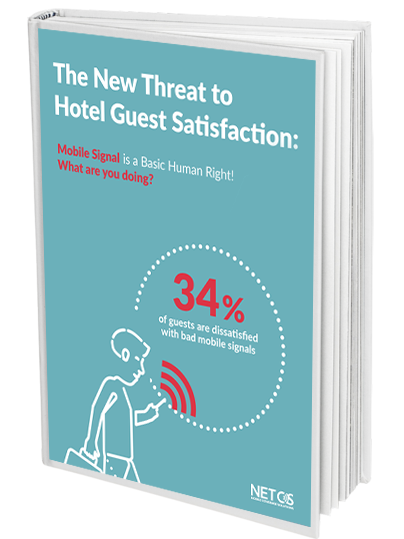 In this FREE E-Guide, you’ll find the alarming survey findings about guest satisfaction and the mobile signal issue and importantly, the steps you need to take to fix this increasing guest issue. What are Your Guests Doing About Your Bad Mobile Coverage? Bad Mobile Coverage is the New Hotel Bug Bear. What’s the Answer? Lost Revenue, Negative Reviews and Complaints on the Rise. "To date, we’ve completed over 2000 sites. From Downing Street to Gleneagles. Will you be next?"